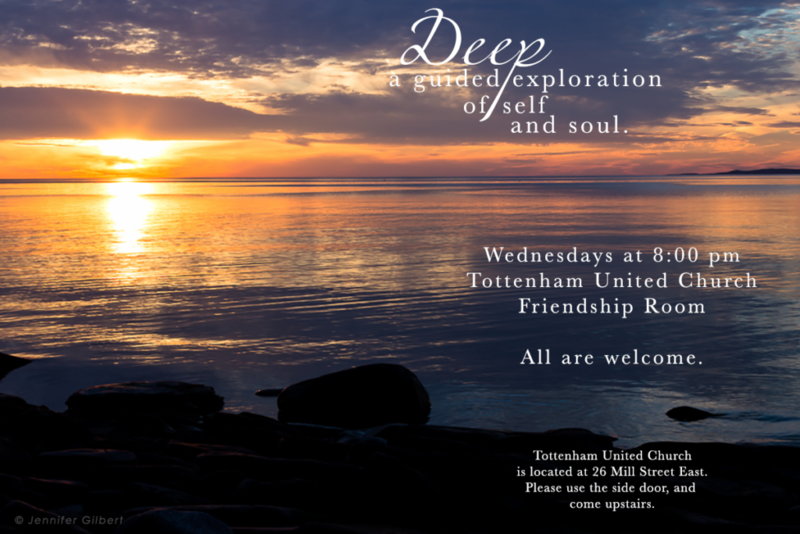 Welcome back to a new Sunday School year at Tottenham United Church! We will be starting this Sunday School Season focusing on sharing the beauty of Canada’s Indigenous Peoples. We are moving towards acknowledging the land that our Church is built on. We do this as an act of reconciliation and respect for the Indigenous people who call this land their home. We have a number of special events planned this fall so please mark your calendars so you don’t miss out on the fun! We will be following the same themes but our Sunday School children and youth will continue to meet in separate groups during Sunday School time. This fall we will be starting the first of a number of art workshops for youth as part of our community wellness program. Thanks to a grant we received from The United Church of Canada we are able to pay for facilitators and offer these workshops free for youth in our community. Faciliator: Lorna Pawis an Indigenous Elder from Wasauksing First Nation. 7:00pm in the TUC sanctuary! Looking Ahead – The Mind and Movement Group will be starting up again in November 2018 to prepare for a performance at the annual Christmas Pageant to be held December 2, 2018. Details and registration to be sent out soon. An all ages Children’s Art Night has been scheduled for Saturday January 12th at Rich Hill United Church! Sunday School Teachers – We are always looking for interested volunteers to come and have some fun with us. We encourage Sunday School parents or teen volunteers who can work towards earning their community service hours. If you are interested please let us know or speak to Pastor Patti. Offertory – Each week we collect an offering to help support the mission of our Sunday School. Please give what you can. Spare change welcome! If you have any questions about Sunday School please feel free to speak to one of us or contact Pastor Patti at any time. We look forward to a fun and exciting year with all of you!